Blooms Only understands clients' requirements to order flowers online. That's why we handpick quality flowers and hand-arranged them creatively so that they look good and last long. 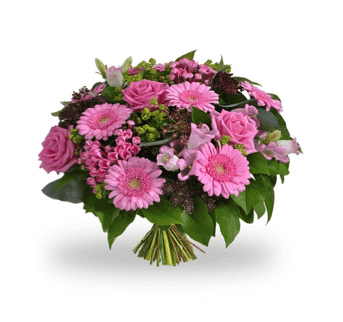 We guarantee delivery of fresh and quality flowers in time. You can order flowers online any day and time through Monday to Sunday. We deliver flowers in 3 to 4 hours. Our delivery time is from 9 am to 8 pm. The cut off time for same day flower delivery is 5 pm. We lay high importance on timing and know that receiving flowers in time uplifts the joy of the occasion. But certain circumstances may hamper delivery on time. While such a situation is rare, we try our best to deliver flowers in your preferred time. We will try our best to deliver flowers to the right person for timed event like funeral. However, due to some situation, there is a likelihood that we won't be able to deliver flowers to the right person and address. Therefore, we request you to provide us with an alternative name and address. Delivering flowers to the addressee at business offices, hospitals, and educational centers is not guaranteed. For such cases, you need to provide an alternative address and person's name. We don't deliver flowers to Intensive Care Units, Army, Air-force and Naval bases, jails, mines, and secured buildings. We sincerely request you to provide correct name and address of the recipient in full to help us in fast delivery. Blooms Only send flowers online to Pune with care, emotion, and compassion. We love seeing and making our customers happy.